This post has affiliate links which support this site. Thank you! Only 11 days and my oldest son will be 3! Of course, I have no idea what we are actually doing for his birthday yet except that he wants Paw Patrol. I guess I better get started planning it all! His birthday is on Valentine’s day and so I am busy planning out fun things for the rest of the kids too. 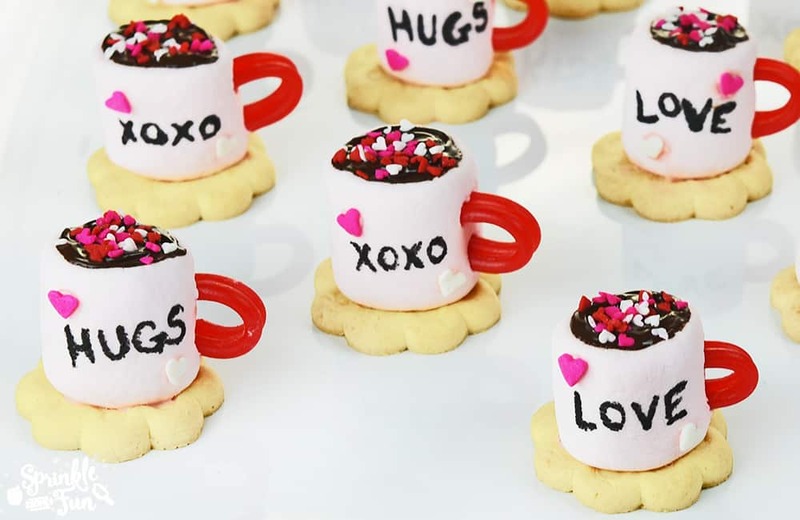 I love to make cute things for the kids for when they wake up on Valentine’s day because that’s what my mom did for my sisters and I growing up. 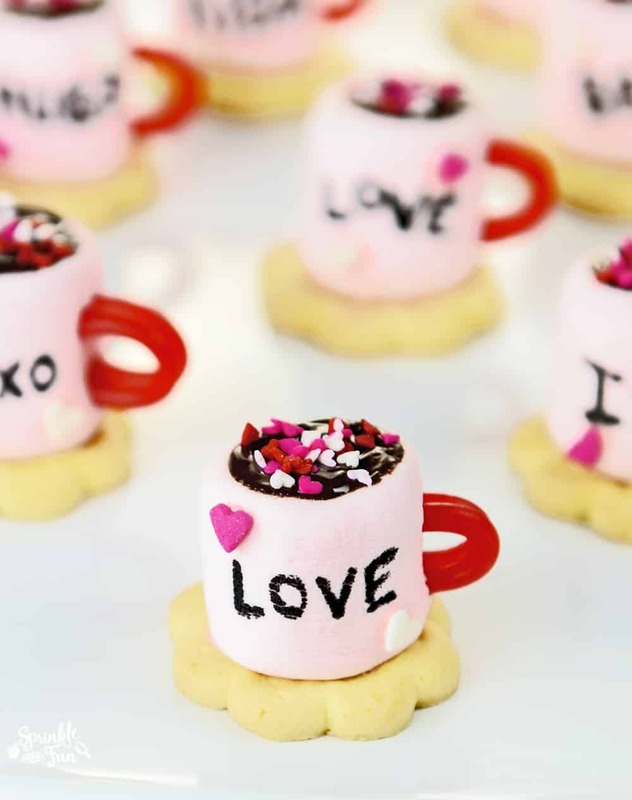 These adorable Valentine Marshmallow Cocoa Cups are sure to be a hit with the kids on Valentine’s Day! I just love the little personalization that you can have with these. 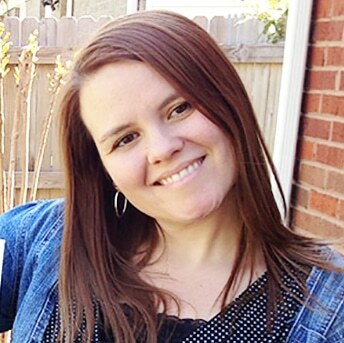 You can put your kids’ names or put little love notes like I did. 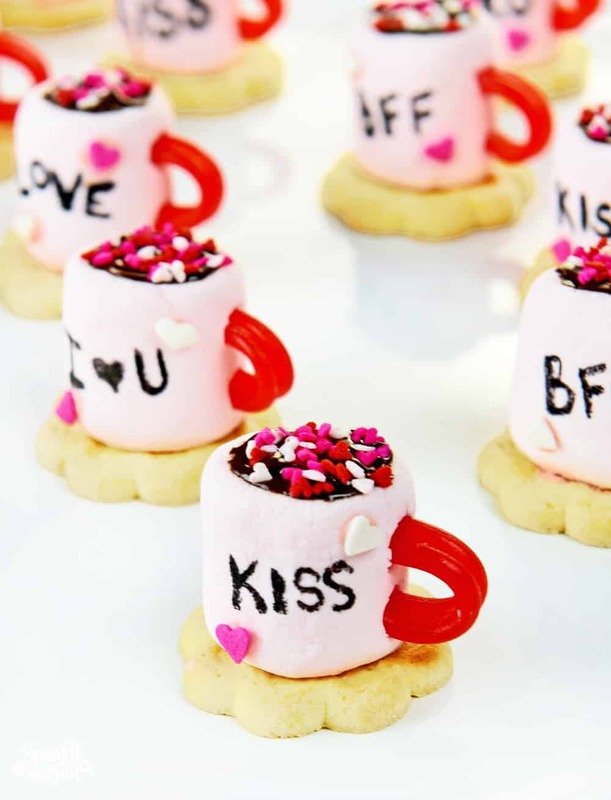 To make these you just need large pink marshmallows (or white if you can’t find pink), Twizzlers pull-n-peel cherry, heart sprinkles (I used two different sizes), pink candy melts, chocolate candy melts and butter cookies. You’ll need a Food Writing pen like this one from Amazon (affiliate link). I also used wooden skewers to poke holes and spread the chocolate. 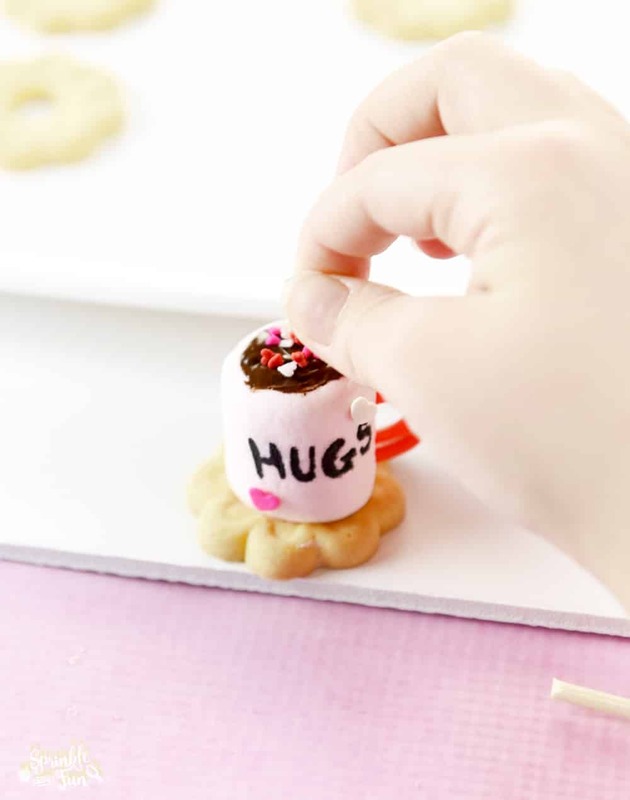 They are so easy and they would be something that the kids would love to help with too! Watch the full tutorial below!